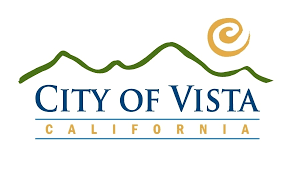 The City of Vista is a Charter Law city and was incorporated on January 28, 1963. Located just seven miles inland from the Pacific Ocean in northern San Diego County, the City of Vista has a perfect mild Mediterranean climate. Residents enjoy a wide range of year-round outdoor activities in a setting of gentle rolling hills and pleasant rural surroundings. Vista is approximately 19 square miles with a population of 101,797. The City handles sewer utilities and contracts with Vista Irrigation District for its water services. The City operates its own Fire Department and contracts with the San Diego Sheriff’s Department for law enforcement services.